Ubuntu is brought to users in their own language by a large community of dedicated volunteer translators, who tirelessly work on localizing every part of the Operating System release after release. This week we’re introducing you to Daniel Nylander, the Swedish translation team coordinator. Could you tell us a bit about you and the language you help translate Ubuntu into? 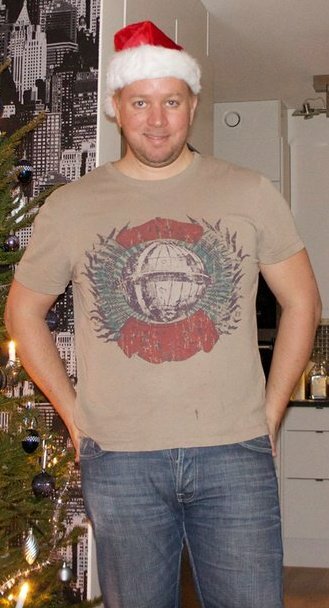 I’m 36 year old and live in the capitol of Sweden, Stockholm. I fill up the weekdays as a Systems Engineer for Blue Coat Systems, Inc. The evenings and weekends are mainly dedicated for translation work. I’ve been the main contact for the Swedish Ubuntu Translation Team for a couple of years now. My other commitments are being the main translator for GNOME, GIMP, Debian, Xfce, LXDE, VLC, VirtualBox etc. Nowadays, I try to focus on a smaller number of projects than before. Swedish is a very difficult language, both verbally and in writing. The Swedish alphabet consists of 29 letters (A-Z, Å, Ä and Ö). Verbally it sounds just like the Swedish Chef from The Muppet Show. From the Wikipedia entry: Swedish (svenska) is a North Germanic language, spoken by approximately 10 million people, predominantly in Sweden and parts of Finland, especially along its coast and on the Åland islands. It is, to a considerable extent, mutually intelligible with Norwegian and to a lesser extent with Danish. Along with the other North Germanic languages, Swedish is a descendant of Old Norse, the common language of the Germanic peoples living in Scandinavia during the Viking Era. It is currently the largest of the North Germanic languages by numbers of speakers. How and when did you become an Ubuntu translator? Personally, I started my translation efforts around 2005. Doing some minor translations for various Debian projects evolved into being the main translator for the GNOME Project. From there on, I saw what Ubuntu had become and started to coordinate the translation efforts in Launchpad. What other projects do you help with inside the community? I translate pretty much everything I can get hold on. What I focus on is basically what is to be released next. At the moment, my focus is on the next major GNOME release (which will be in Ubuntu 11.04). Do you belong to an Ubuntu LoCo team? If so, which one? I have been involved in the Swedish Ubuntu LoCo but the focus is nowadays on the translation effort. I do however help out in the Swedish translation forum on a daily basis. How can people who want to help with translating Ubuntu and all the various pieces and parts into your language get started? We have a comprehensive wiki page for new translators. My best advice for new translators is to start from the basics. For instance, translating simple wiki pages or documentation is a good start. What’s the desktop experience for Ubuntu users in your language? Is Ubuntu in your language popular among native speakers? Yes, I would say that more than 50% of the Ubuntu users in Sweden do use Swedish in Ubuntu. I got a few thank you emails from senior citizens who wanted to express their thanks for being able to use a computer (in their native language). We try to do as much of the translation work upstream. This means that the major part of the work is already done when it hits Ubuntu. The Swedish Ubuntu Translation Team is by design a very small team. It’s basically me and Håkan Hagman who manage it all. However, everyone is welcome to submit translation suggestions which we then could verify and commit. Do you know of any projects or organizations where Ubuntu is used in your language? There are a number of smaller projects within schools and government that uses Ubuntu in Swedish. We are not aware of any larger projects (feel free to inform me if any). What do you feel is the most rewarding part of translating Ubuntu? The reward is feeling you are part of something and that you contribute with something that people with less or no experience (language barrier) or disabilities (accessibility) can use a computer in their own native language. Children nowadays learn English very early in school and sadly also a negative trend when it comes to reading and especially writing the Swedish language correctly. Is there anything else about your team or translation efforts that I haven’t asked you about that you would like to talk about? We could never have done what we have done if it weren’t for the great translation team coordination from David. Do you speak languages? Join the our translation community and make Ubuntu accessible to everyone in their own language!